Recently named one of the “10 Small Companies in RTP Changing the World” by the RTP Rotary Board, Panaceutics is headquartered at the Alexandria Science Collaboration Campus in Research Triangle Park. 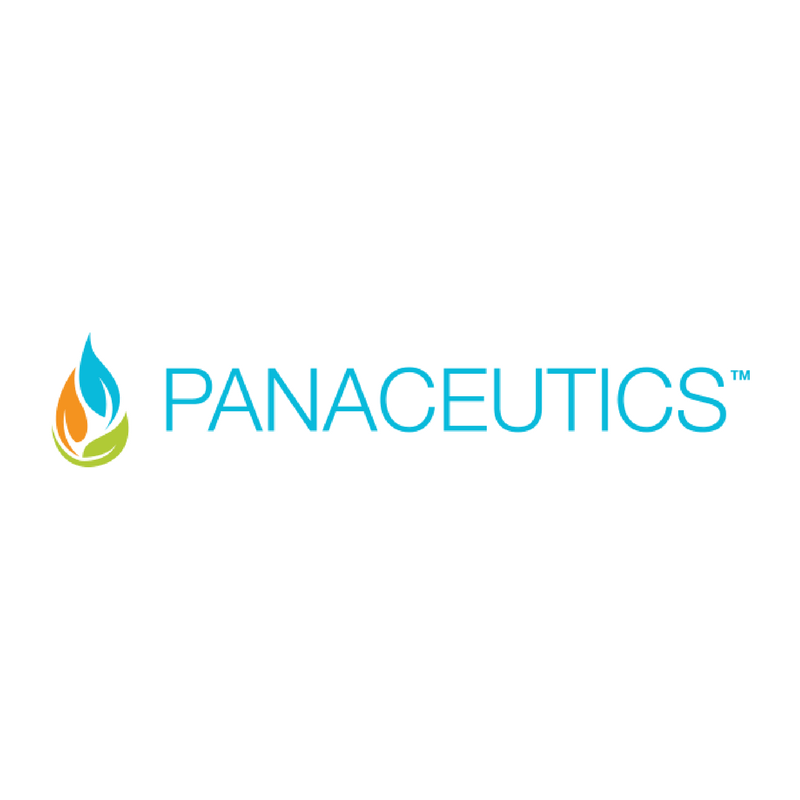 Panaceutics was founded about five years ago by Staton Noel and Edison Hudson. The two came from diverse backgrounds; Staton was a senior-level director for GlaxoSmithKline, where he was responsible for drug discovery and bringing products to market. Edison had been building disruptive robotic technology, and looked at the world through a physics lens. The pair saw an opportunity to combine their experience and created a custom medical service with a variety of pharmaceutical and nutritional applications. 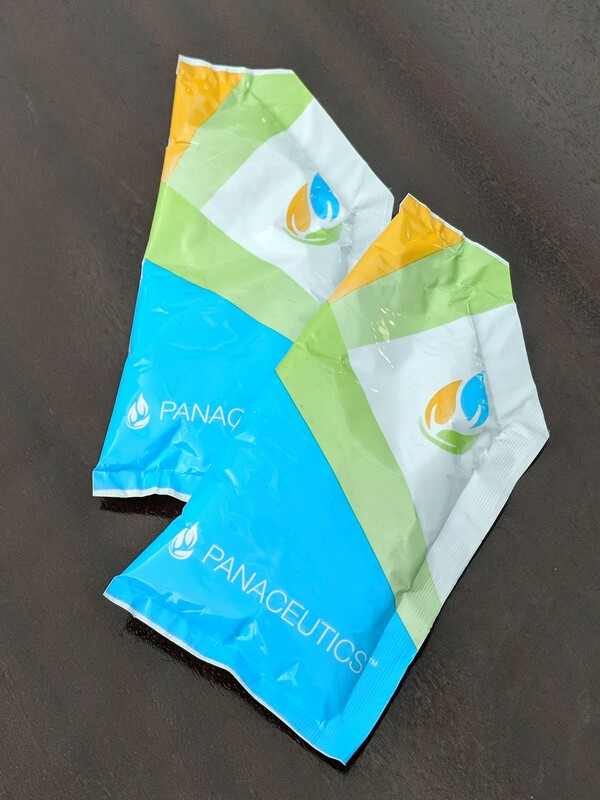 He describes Panaceutics’ liquid gel packs as a groundbreaking alternative to traditional pharmacy compounding. “In medicine, if you think about compounding pharmacies, they are the standard for personalized medicine,” Mark says. “They break drugs up and combine them to create customized treatments that you can put into your applesauce, for example.” Streamlining what can amount to dozens of daily pills into these more manageable compounds can make a huge difference in the efficacy of care, especially in patients with terminal illnesses. But there’s a problem with compounding pharmacies: they can only serve a small patient population at a time. 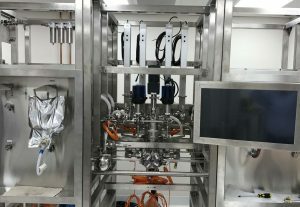 Panaceutics’ robotic technology uses cloud-based data unique to each patient to build a 30-day supply of flavored liquid gel packs in just two minutes; it then takes only 30 seconds to clean itself and prepare for the next set of data. “Our technology provides individualized solutions in small batches at high volume,” Mark says. 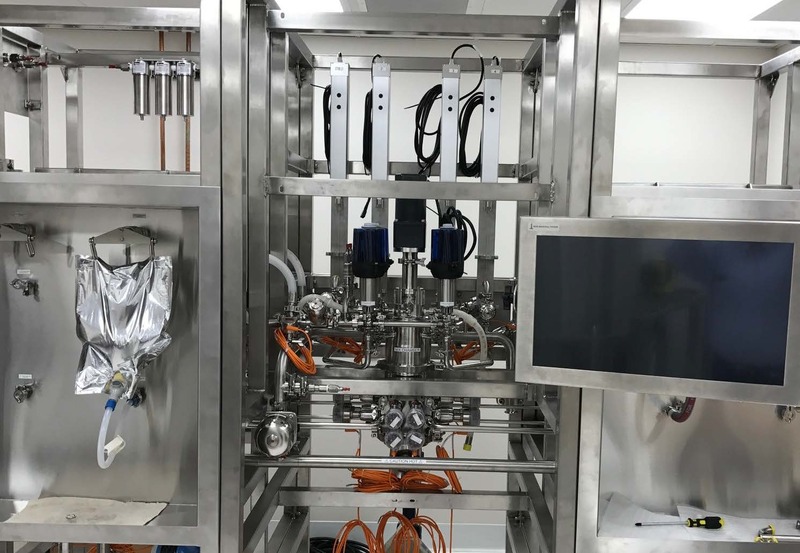 “Our robots can build up to 10,000 customer orders a day.” Once the gel packs arrive to the patient, it can either be mixed into food or eaten on its own (popular flavors are Mango and Spiced Apple). According to Mark, their technology has the potential to disrupt the pharmaceutical industry. “To the best of our knowledge, these are the only machines that exist like this in the world,” he says. Part of those goals include transforming Panaceutics from a tech-driven company into a place where they can commercialize the technology they have developed. They are already taking steps toward this, including the recent acquisition of Triangle Compounding Pharmacy in Cary—”We’re going to be moving part of their operation over here to RTP in the next six months,” Mark says—as well as ongoing talks with a large pharmaceutical organization to expand Panaceutics’ technology internationally. In the United States, the company has plans to open a new facility for the nutrition side of the business in Danville, Virginia (the pharmacy side of the business will stay in RTP with plans for continued expansion). They are also engaged with Florida Hospital in Orlando on a bioequivalence study: “One of the areas we’re focused on right now is cardiovascular medicine, and Florida Hospital has one of the largest cardiovascular institutes in the country,” Mark says. The study involves a Panaceutics a gel pack that includes five different generic cardiovascular products, which Mark says may be an option for a new standard of care for patients in the hospital.